Vegas.Many of us have taken our families on the Hoover Dam tour, but actually spending time in Boulder City is another way to get a feel for our area’s history and cultural roots. As movers, we’ve gotten to drive around and get to know Boulder City and we can highly recommend it to visitors and as a great place to live as well. So, since we’ve just celebrated Nevada Day, we thought we’d celebrate the little town of Boulder City that has played a big role in our history and is still a great place to live or favorite place to visit for lots of us locals. For anyone looking for a bit of peace and small town quiet, Boulder City is ranked as one of the best cities in Nevada to live in, ranking well for things like an affordable cost of living, nearby amenities, crime rate, employment, housing and weather conditions. It is also one of the only two cities in Nevada, the other being Panaca, that don’t allow gambling, something that appeals to many families and others who want a quiet refuge from the Las Vegas lifestyle. So what makes Boulder City so special? It’s history helps tells that story. Boulder City actually played a big role in making Las Vegas happen. It was originally built in 1931 as part of a Federal project by the Bureau of Reclamation as a housing site for workers who were hired to build the Great Depression water project, the famous Hoover Dam. The sheer scale of the dam as well as the duration of its construction prompted the Bureau of Reclamation to build a semi-permanent town in the area, rather than just a temporary housing work site. Now, as a company town for the US government populated mostly by single male dam workers, in order to keep trouble down, Boulder City was mandated a dry town (alcohol wasn’t permitted there until 1969!). For fun, the workers traveled up Boulder Highway to tiny Las Vegas, where mobsters happily opened up casinos and bars to entertain them. The dam was finished, Boulder City became a permanent little town, and Las Vegas casinos flourished, attracting more tourists and residents as time went on. So, Boulder City was a great influence on making Las Vegas the gambling and tourist mecca it is today. What makes Boulder City a great place to move? 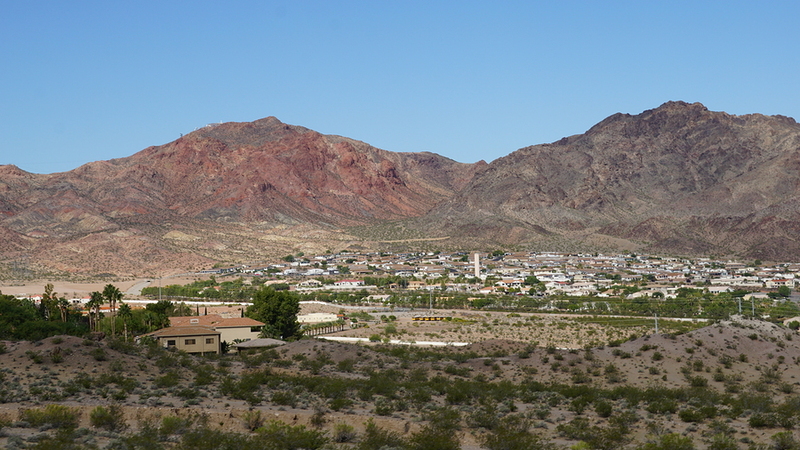 Charming, quiet small community – the population of Boulder City is only around 15,000. But since it’s near Las Vegas and Henderson, residents have access to big city shopping and services – the best of both worlds. Low crime rate– The average crime rate in Boulder city is 66% lower than the national average. 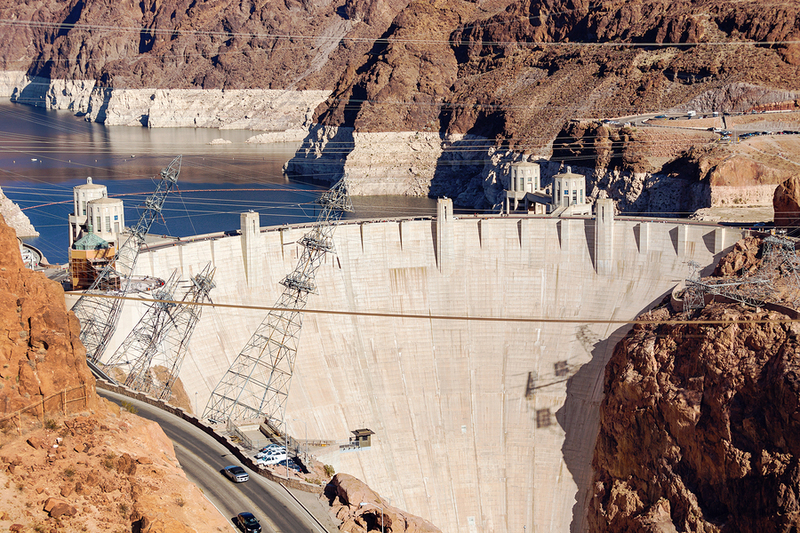 Home to famous Lake Mead and Hoover Dam -The dam is one of the most famous tourist attraction sites in Nevada with over one million visitors touring the site every year, along with the Lake Mead National Recreation Area. Named one of the top 25 places to retire – In 2009, Money Magazine ranked Boulder city as the 6th best place to retire in the United States, based on medical care, affordable housing, tax rates, arts and leisure. Plenty of events and festivals -The city hosts a lot of great festivals, including the city’s most popular event, the annual ‘Art in the Park’. Plenty of sunny weather – Being a desert city just like Las Vegas, Boulder City experiences plenty of sun throughout the year, making it a great place for folks looking to get away from the cold, wet weather in other parts of the country. Lake Mead deserves its own mention. After all, most of us probably wouldn’t be here in Southern Nevada at all without Hoover Dam and Lake Mead, the man-made lake created by the dam, that provides our drinking water (not to mention those dancing waters at the Bellagio) and much of our power through its hydroelectric turbines. The National Park Service’s Lake Mead National Recreation Area is a wonderful natural area for birdwatching, hiking, fishing, photography, sightseeing and picnicking. And locals know that Lake Mead boating is fabulous for a break on those hot days, with great boating, water skiing or just enjoying hanging out in the cool water. For us at Move 4 Less Las Vegas, it’s simple. Besides the benefits the area provides to us and our families, every time we drive out to Boulder City to move one of our neighbors, we get to take a break from the traffic and noise of Las Vegas. This is why it’s one of our favorite places in Southern Nevada.